Our hearts and minds continue to be filled with the grief and love that is evident across Ōtautahi Christchurch. The attacks that occurred on Friday 15 March were unlike anything experienced in New Zealand, and in no way reflect the open and tolerant country we call home. We cherish peace and kindness more so than ever. As a city and a community, Christchurch is determined to come through this trying time stronger and more inclusive, showing our collective love and acceptance of all those that have chosen this city as their home. Our thoughts remain with all of those affected. I have called around many businesses over the last few days to check up on how you are all getting on in the wake of this truly sad time for our city. Many of you were very confused about what was happening on Friday and struggled to get accurate information during the city lockdown and in the days that followed. I have spoken with a number of suburban shopping centres and the Chambers of Commerce and we will be working on a strategy so we all have policies in place that will assist us in communicating better with you our members during difficult times. We will be following up with Police to see how we can receive the emergency information they send out to other parties during such events in future. I also encourage you to report issues directly to the police so they have a record of what is actually happening in our city centre. This helps when they are resourcing different parts of the city and for them to build up a clear picture of emerging issues. Remember, Police resource will always go where the need is. Lastly, I ask that whenever you see or hear of an issue, to also either phone, text or email me with whatever it is, no matter how small it may appear at the time, as we know how things can quickly escalate. My contact details are at the bottom of this newsletter. For updated information on memorials and ways to get involved and contribute, visit the Christchurch City Council website. Hereford Street Upgrade Christchurch City Council has given the go-ahead for work to proceed on upgrading two blocks of Hereford Street. 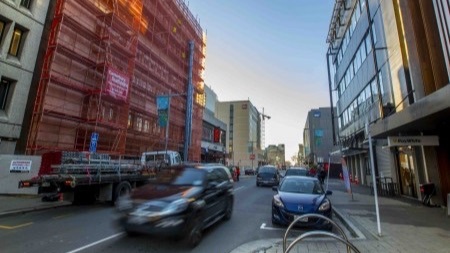 The upgrade will address the damage caused by the earthquakes and the subsequent demolition work along the stretch of Hereford Street between Oxford Terrace and Manchester Street, in the central city. The street’s badly damaged footpaths will be replaced with new, paved footpaths with extra space provided for street furniture and planters for trees. Spaces will also be provided at nights for ride-sharing services and taxis servicing the bars and restaurants along The Terrace and Hereford Street. Based on the feedback received, some minor changes were made to the plans for upgrading the street. The changes relate mainly to the placement of parking spaces and bus stops. Work should begin later this year. The work is expected to be rolled out in three phases, the first of which is expected to take about 18 weeks. There will also be a fourth phase, which will look at transport to and through the square and will be designed separately. 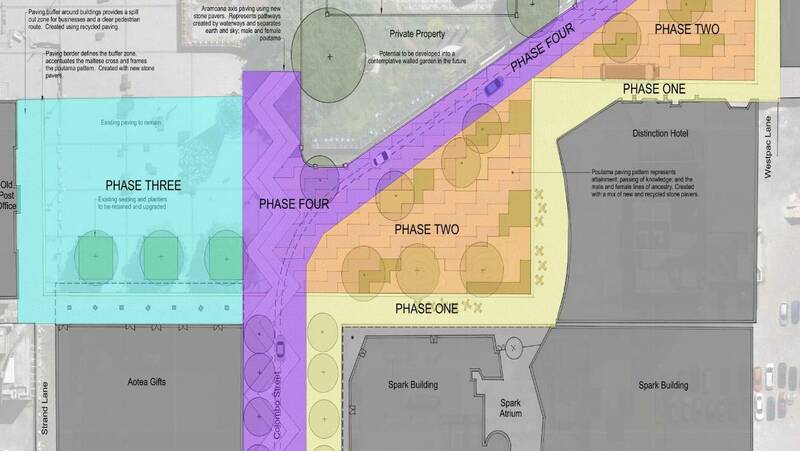 Phases two and three would see re-paving in the areas in front of the OGB building and Distinction Hotel, and at the southern end by the Spark and Aotea gifts buildings. Both these areas have currently significant damaged and the aim is to have the areas completed by the time the new buildings are completed. Work is to include improved lighting and some new trees to be planted. The public and lighting professionals are being invited to get involved in a new Light Up the City project being run by Christchurch City Council’s Enliven Places Programme. 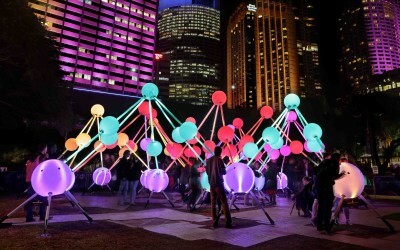 Lighting professionals are being asked to submit designs for a new interactive lighting display that can brighten up part of the central city over the winter months, while the public are being invited to submit designs that can be used on lighting projectors around the central city. The winning entries will receive $100 gift vouchers to be spent at any central city business of the winners choice! Do not worry if your business does not have gift vouchers because if your business is chosen by the winner, you will be reimbursed through Enliven Spaces Fund. A new blog focusing on the central city and what's happening there has been set up by the Newsline team at the Christchurch City Council. The blog is aimed at providing people with short, snappy updates about events that are on, new developments that are happening and decisions that are being made regarding the central city. Make sure you check it out! If you're doing something in the central city that you think might be worth promoting through the blog, you can email newsline@ccc.govt.nz and they will look at including it.